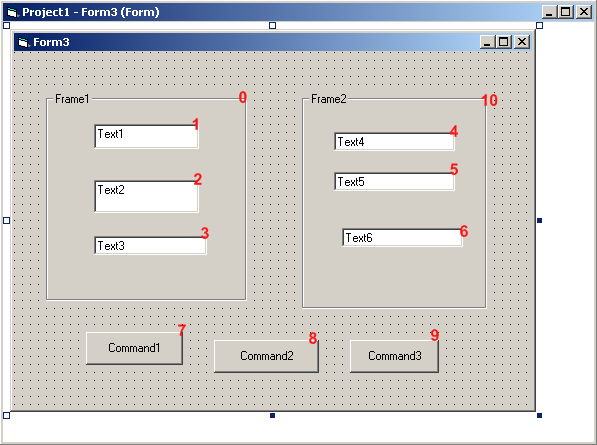 In Visual Basic 6.0 you can specify optional parameters in a function or sub signature. This, however, isn't possible in .NET. 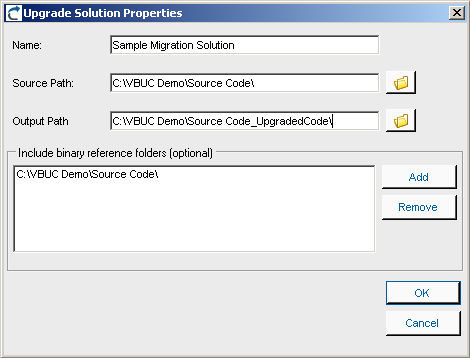 In order to migrate code that uses this optional parameters, the Visual Basic Upgrade Companion creates different overload methods with all the possible combinations present in the method's signature. The following example will further explain this. The C# code above doesn't have any change applied to it after it comes out of the VBUC. There may be other ways around this problem, such as using parameter arrays in C#, but that would be more complex in scenarios like when mixing different data types (as seen above). 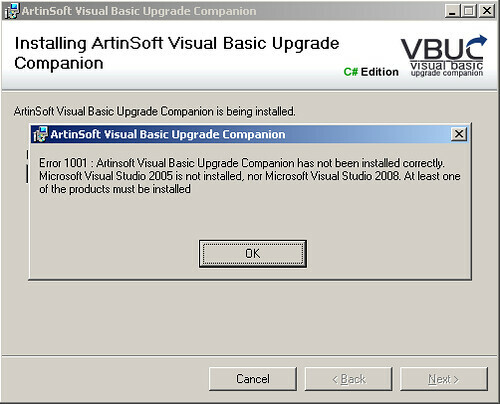 Right now we are entering the final stages of testing for the release of the next version of the Visual Basic Upgrade Companion (VBUC). This release is scheduled for sometime within the next month. One of the most exiting new features of this new release is the addition of Custom Maps. Custom Maps are simple translation rules that can be added to the VBUC so they are applied during the automated migration. 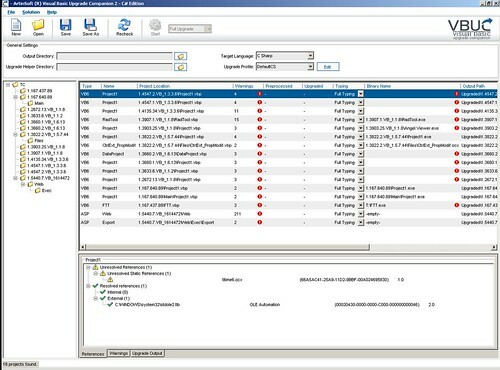 This allows end users to fine tune specific mappings so that they better suit a particular application. Or you can actually create mappings for third party COM controls that you use, as long as the APIs for the source and target controls are similar. Custom Maps add a great deal of flexibility to the tool. Even though only simple mappings are allowed (simple as in one-to-one mappings, currently it doesn't allow you to add new code before or after the mapped element), this feature allows end users edit, modify or delete any transformation included, and to add your own. By doing this, you can have the VBUC do more work in an automated fashion, freeing up developer's time and speeding up the migration process even more. Note that TabIndex 0 and 10 correspond to the Frames Frame1 and Frame2. 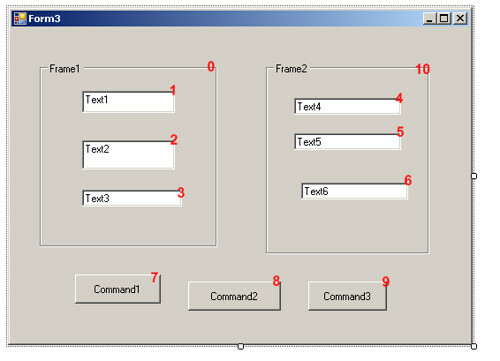 If you stand on the textbox Text1, and start pressing the tab key, it will go through all the controls in the following order (based on the TabIndex): 1->2->3->4->5->6->-7>8->9. 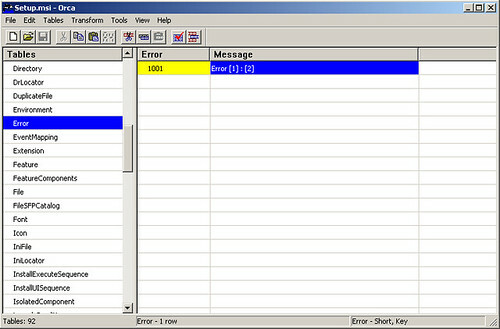 In this case TabIndex 0 and 10 correspond to the GroupBox Frame1 and Frame2. When going through the control in .NET, however, if you start pressing the tab key, it will use the following order: 1->2->3->7>8->9->4->5->6. As you can see, it first goes through the buttons (7, 8 and 9) instead of going through the textboxes. This requires an incredibly easy fix (just changing the TabIndex on the GroupBox) to replicate the behavior from VB6, but I thought it would be interesting to throw this one out there. This is one of the scenarios where there is not much that the VBUC can do (it is setting the properties correctly on the migration). It is just a difference in behavior between VB6 and .NET for which a manual change IS necessary. 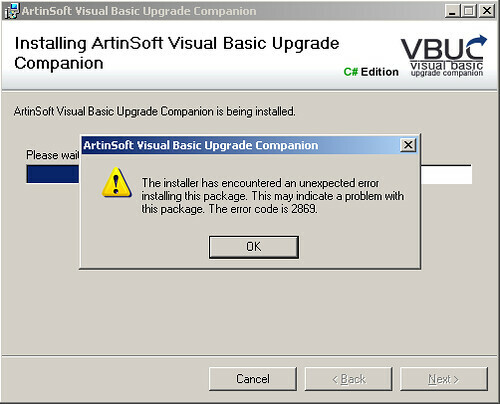 The latest release of the Visual Basic Upgrade Companion improves the support for moving from VB6.0's On Error Statements to C# structured error handling, using try/catch blocks. In this post I will cover a couple of examples on how this transformation is performed. First of, this is something that you may not need/want in your application, so this is a features managed through the Migration Profile of the application. In order to enable it, in the Profile, make sure the "On Error To Try Catch" feature is enabled. Now let's get started with the examples. First of, let's cover one of the most frustrating statements to migrate from VB6.0: the dreaded On Error Resume Next. This statement tells VB6.0 to basically ignore errors and continue execution no matter what. 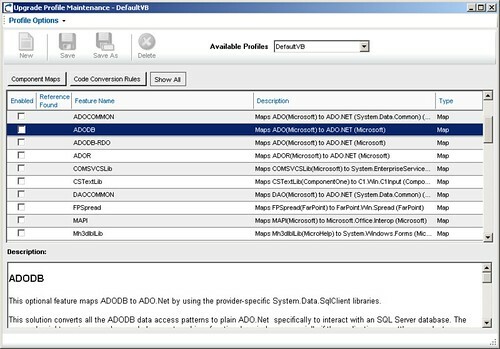 VB6.0 can recover from some errors, so an application can continue without being affected. These same errors, however, can cause an exception in .NET, or may leave the application in an inconsistent state. might not be equivalent to the original. Because of this, the decision was made to wrap the code that is in the scope of the On Error Resume Next statement on a try/catch block. This is likely the way it would be implement in a "native" .NET way, as there is no real equivalent functionality to tell C# to ignore errors and continue. Also, the VBUC adds a comment (an UPGRADE_TODO), so the developer can review the scenario and make a judgement call on wether to leave it as it is, or change it in some way. Most of the time, the try/catch block can be limited to just one line of code, but that modification requires some manual intervention. Still, it is easier when there is something already there. As you can see, the functionality of this type of pattern is replicated completely, maintaining complete functional equivalence with the VB6.0 code.